Here’s one video analysis of a ring that appeared after a thunder strike. This happened somewhere in US recently. During a recent thunderstorm in the US a UFO appeared. It’s not clear whether the UFO got hit by the lightning strike or whether it was using the lightning for it’s energy. 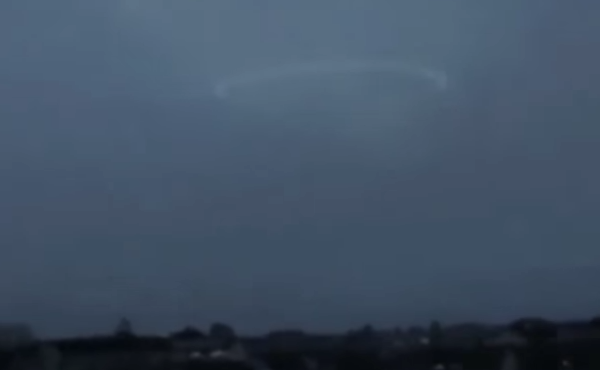 After the lightning strike the UFO becomes visible for a 30 seconds and illuminates the sky and the surrounding area. Then a second lightning strike is heard and the UFO dissappears. When the UFO disappears the area turns dark again. I made a short video analysis of the footage to explain what happened. Did the UFO open up a portal in order to travel to another dimension?